Established in 2000, the Dental Center of Stamford was founded by area citizens and became part of CHC, Inc. in 2005. It is the hub for a network of CHC dental services throughout Stamford. When comprehensive medical services were added in 2009, the Center became known as the Franklin Street Community Health Center. 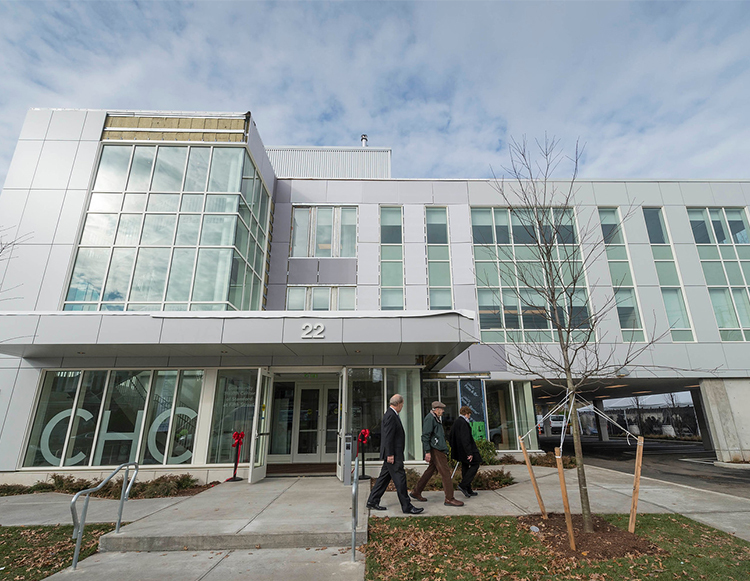 In 2018, a new location in Stamford was opened at 22 5th Street. Parking is available to the sides of and behind the building. Tichianaa Armah, MD – BA: Swarthmore College. MD: University of Rochester. Residency: Yale-New Haven Hospital. Erin Forler, LCSW – BA: University of Waterloo. MSW: Wilfrid Laurier University. Gabriella Gellrich, MD – BA: Carleton University. MD: Saba University School of Medicine. Residency: Montefiore Medical Center. Yumi Koh, DO, MPH. BA/BS: Santa Clara University. DO: New York College of Osteopathic Medicine. MPH: Yale University School of Public Health. Residency: Griffin Hospital. Chelsea McIntosh, PsyD – BA: Drew University. PsyD: Baylor University. Residency: Community Health Center, Inc.